Hannafore is a superb self-contained one bed roomed apartment to the rear of the main Westcliff building. Approached along a private walkway with stainless steel balustrades and blue tinted glass, the private front door leads into an entrance hallway. To the left off the hallway is the open plan living, dining & kitchen area. With twin full length patio windows/doors and Juliet balconies, the living room is airy and provides excellent sea and coastline views. The lounge area has a fully equipped surround sound home cinema system and a 19' flat screen TV. Sky FreeSat is connected with a range of TV programmes to choose from. All furnishings are contemporary and designed to ensure maximum comfort and usability. The three seater leather sofa converts into a double bed for additional guests and there are both informal and more formal dining options with both a breakfast bar and a dining table & chairs. The kitchen is superbly equipped. A full oven together with a four ring ceramic hob and built-in microwave provide ample facilities for preparing excellent meals of locally sourced produce ! There is a dishwasher, sink and drainer and the kitchen as a whole is well equipped with utensils, oven to table ware and crockery so you can both produce and present an excellent meal on the occasions you would rather relax in your apartment rather than eat out in one of the many local restaurants, pubs and cafes. 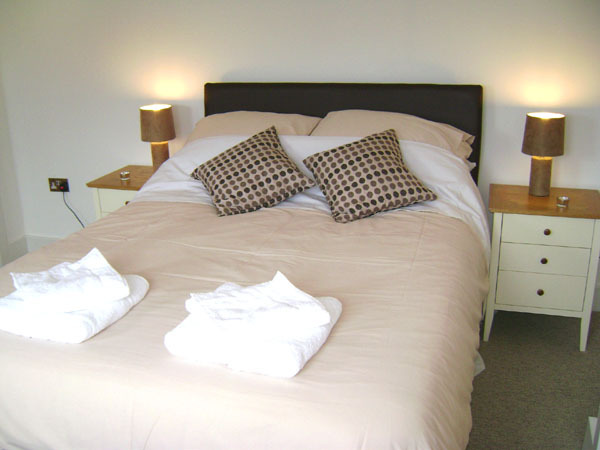 The bedroom is extremely spacious with a built-in wardrobe as well as a chest of drawers and bedside tables. 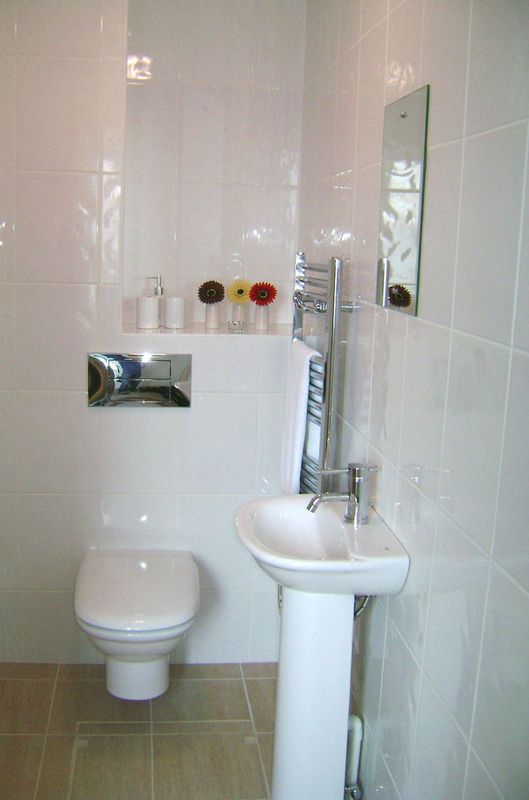 Off the bedroom is a superb shower-room with a very large shower and modern sink and toilet. There is a second toilet and sink for guests off the hallway. The bedroom is light and airy with two windows, both offering views, which whilst partially obstructed, are still extremely pleasant. Hannafore does not offer a parking space but there is free parking in the near vicinity or the option to park in one of the large car parks Looe has to offer. As you are just a stone's throw from the sea with the numerous relaxation opportunities that both West and East Looe have to offer, it seems a good time to unload, park the car and enjoy the walks !